The Blue Pearl is an affordable robotic cleaner, offering state of the art technology. Not only is the Blue Pearl priced to own, but it will save you money with each use. 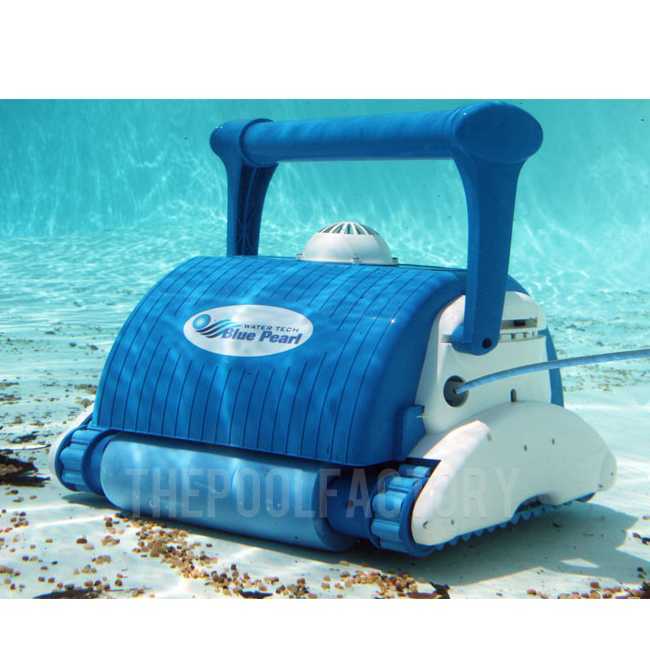 The Blue Pearl's Aqua Smart guidance will clean the largest of pools five times more efficiently than conventional robotic cleaners. Targeting debris and problem areas to maximize efficiency, the Blue Pearl will save you time, maintenance, and electricity. 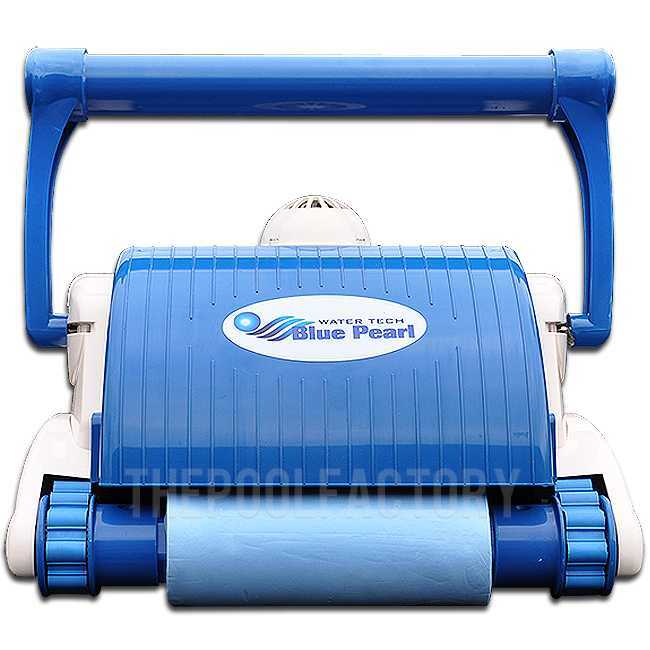 Made of the highest quality parts including the industry's best chemical and algae resistant PolyVinyl Alcohol (PVA) brushes, the Blue Pearl can clean any pool surface quickly and effectively. 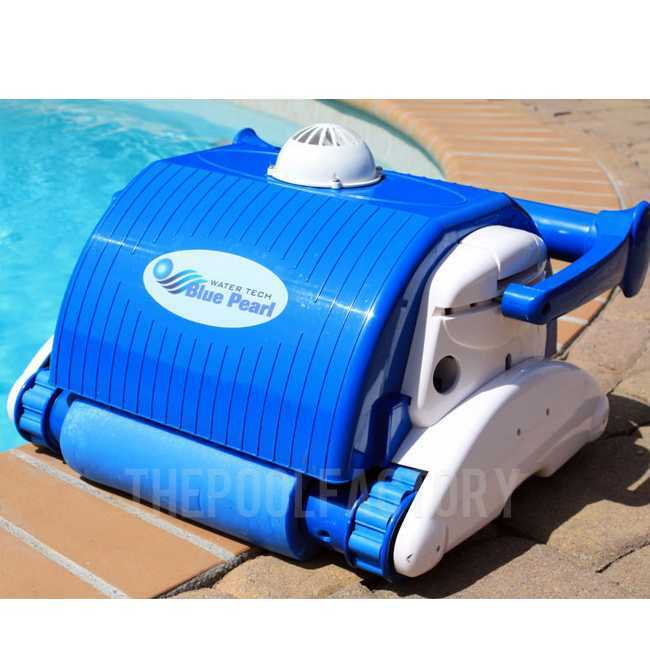 The Blue Pearl will clean the bottom and cling to the sides of your pool with ease, cleaning every surface of most pools in two to three hours. Best of all, the Blue Pearl requires no supervision while it works. Its state of the art obstacle sensor will prevent the machine from getting stuck on ladders or other obstructions in the pool. Coupled with its revolutionary beach entry detector, the unit can stop itself from exiting the water. From its humble beginnings less than a decade ago, Water Tech has erupted in both the US and international markets. Water Tech's growing industry presence is supported by its world class customer service, allowing it to quickly become a leader in the world of pool and spa cleaning. Now featuring six different battery powered models in the Pool Blaster line and ten other cleaners, Water Tech has made its presence felt in every corner of the pool cleaning market.